Please join us in celebrating the Persian New Year (Nowruz) Saturday, March 9th, 2019 at LifeHTX. (Sponsors will be individually recognized. Complimentary valet parking available upon arrival. SIAWE is an exempt organization pursuant to I.R.C Section 501 (c) (3). Please join us for a fun and exciting cycle class at the beautiful LIFE HTX, as we spin into spring! Check in begins at 6:00pm, and be ready to ride by 6:30. Please stay afterwards for light bites and drinks. To purchase your tickets, please click here. All proceeds go directly to SIAWE’s scholarship fund. Please join us in celebrating the Persian New Year (Norouz) Friday, March 3rd 2017 at the Junior League of Houston. This year, we will have entertainment provided by world-renowned comedian K-Von and a silent auction to help raise funds for scholarships. For ticketing information and to purchase your tickets, please click here. 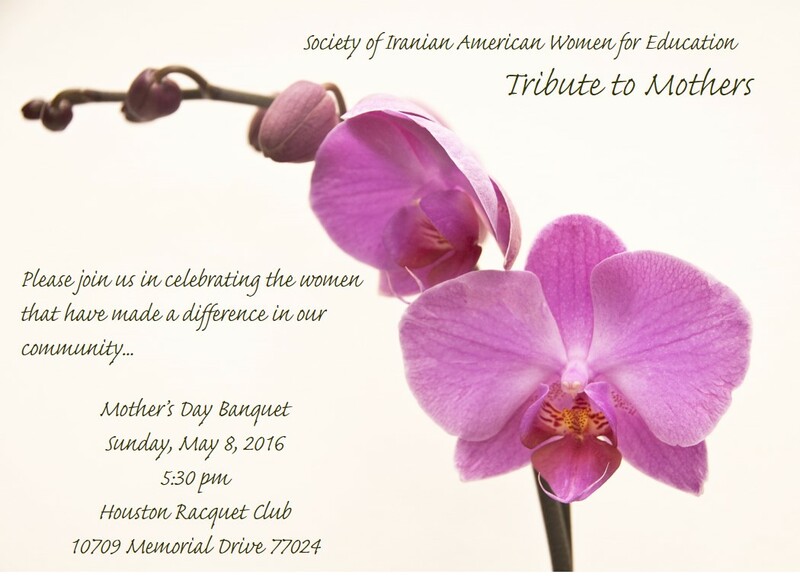 Please join us in celebrating the women that have made a difference in our community. Tickets will be $75.00 per person for adults and $25.00 for children 6-17 and free for children 5 and under. To purchase a ticket please click on the PayPal link below.